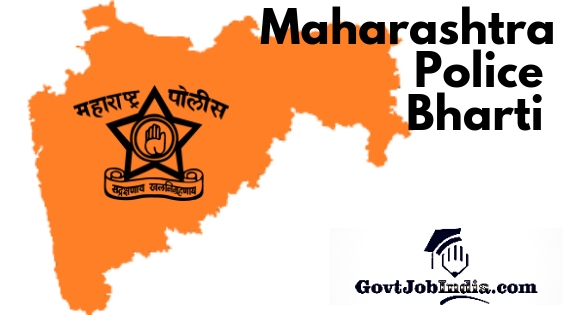 महाराष्ट्र पोलीस भरती 2019 – The Maharashtra Police department is calling out for applications for posts of Constable / Shipai for the Maharashtra Police Mega Bharti. Candidates who wish to secure these latest govt police jobs in Maharashtra will have to apply online according to their preference by checking out the details of their desired organization. This amazing opening came up in the latest employment news in Maharashtra. All those candidates who wish to apply online for this recruitment are urged to skim through this article and apply online before the end dates. In addition to this, please note that all the information is given on this page is from the official website ie. mahapolice.gov.in/Recruitment. Some of the details of the recruitment has been given on the other official portal of the Maharashtra Police – mahapolice.mahaonline.gov.in/. There are various departments which are included in this Maharashtra Police recruitment. They are-Pune, Mumbai, Navi Mumbai, Aurangabad, Nagpur, Akola, Amravati, Buldhana, Yavatmal, Washim, Gadchiroli, Beed, Jalna, Osmanabad, Latur, Nanded, Hingol, Parbhani, Thane, Palghar, Raigad, Ratnagiri, Sindhudurg, Bhandara, Chandrapur, Gondia, Wardha, Ahmednagar, Dhule, Jalgaon, Nandurbar, Nashik, Kolhapur, Sangli, Satara, and Solapur. Please note that the Direct Links to Apply Online for each of the districts of the Mahapolice Bharti are from different websites. We have also given below Maharashtra Police Bharti Physical Test Details and the Maha Police Syllabus PDF link. You will have to browse through the entire article to know more about this. Furthermore, we have also given Maharashtra Police Bharti Application Form Date and many more details pertaining to this recruitment. Make sure that you check all of them out. These vacancies are part of the Mega Bharti conducted in the state of Maharashtra. There are more than 10 organizations taking part in this humongous job opening and the application procedure will start as soon as possible. If you wish to check this out, head over to our page Maharashtra Mega Bharti 2019. The Police Bharti 2019 Maharashtra Notification PDF will be released on the official portal of the recruitment soon. Stay tuned to our page for latest Updates about the Maharashtra Police Bharti 2019. Since the job notification has not been released as of yet, candidates are still in doubt as to whether the recruitment will be conducted. But we would advise the candidates to fret not because the MahaPolice Bharti is about to be started in a matter of a few weeks. You can find the details of each of the recruitment according to the districts in the table below. All you will have to do is click on the link in the “Apply Online” Link and you will be taken directly to the portal where you can apply online. We have linked the application form in the table above which will take you to the Maharashtra Police Bharti Application Form. These are given according to the various districts taking part in this recruitment. The districts which are taking part in this recruitment are- Pune, Mumbai, Navi Mumbai, Aurangabad, Nagpur, Akola, Amravati, Buldhana, Yavatmal, Washim, Gadchiroli, Beed, Jalna, Osmanabad, Latur, Nanded, Hingol, Parbhani, Thane, Palghar, Raigad, Ratnagiri, Sindhudurg, Bhandara, Chandrapur, Gondia, Wardha, Ahmednagar, Dhule, Jalgaon, Nandurbar, Nashik, Kolhapur, Sangli, Satara, Solapur. You can apply online before the last date according to the districts which you wish to apply for. Maharashtra Mega Police Bharti will select candidates based on their performance in the Written Exam, Physical Standard Test, Physical efficiency test, and Personal interview. We have given the stepwise procedure as to how to get selected for the recruitment. You can carefully start preparing for this recruitment by going through our dedicated page- Maharashtra Police Bharti Syllabus In Marathi PDF. All the information related to the Maharashtra Police Bharti physical test details and are given below. Candidates can check this and apply online according to this if they think they are eligible. This was all the available information related to the Police Constable Bharti Maharashtra. We hope this page was beneficial to you with regards to the MahaPolice Recruitment and we sincerely hope that you qualify for this vacancy. In case, you have any doubts related to this, make sure to comment below and let us know. We will clear it out as soon as possible. We will keep updating our page whenever new information comes up, so make sure that you pin this page to your browser. Furthermore, do not forget to subscribe to our website @GovtJobIndia.com for the latest updates about the newest govt job notifications.